NOTE: For those unfamiliar with NVIDIA Ultra Low Motion Blur (ULMB), see Motion Blur Reduction FAQ. 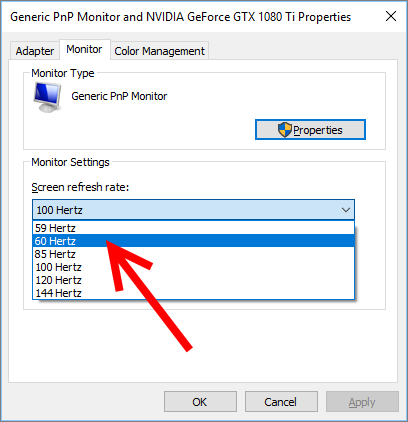 If you have a monitor with ULMB or LightBoost, that feature only works at certain refresh rates such as 100Hz or 120Hz. 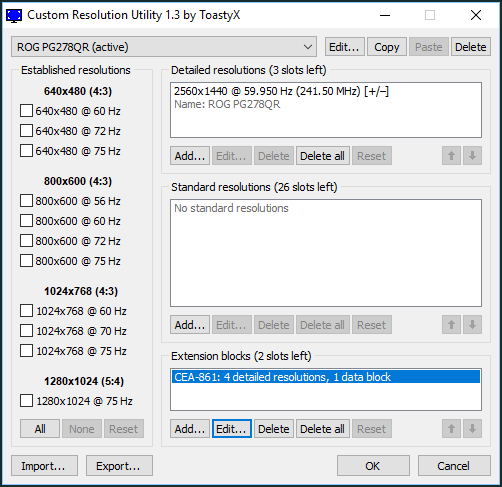 Most monitor manufacturers disable 60 Hz blur reduction due to flicker. However, some people do not mind flicker. The good news is ULMB 60 Hz is possible via a hack! 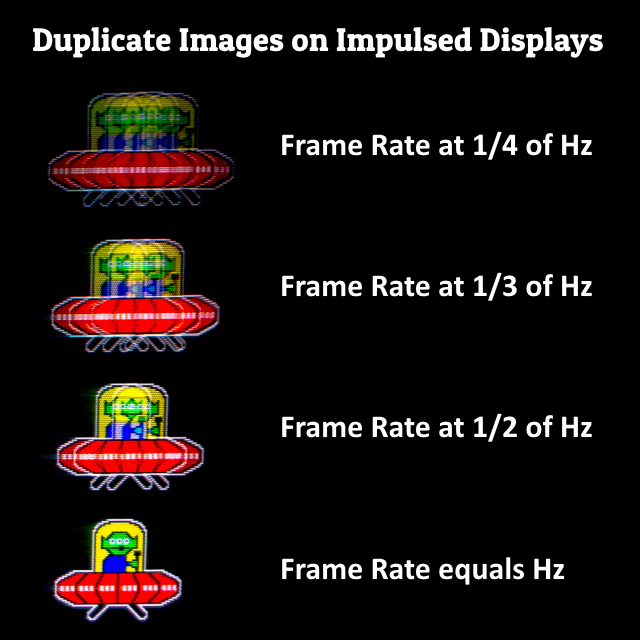 People have been asking for a 60Hz blur reduction mode that doesn’t have a double-image effect. ULMB is better at a higher refresh rate if your game can support a higher frame rate. Most people will always prefer a higher ULMB refresh rate. However, 60 Hz ULMB can benefit 60 fps content. WARNING: 60 Hz ULMB will flicker like a 60 Hz CRT. Do not use this tweak if you have epilepsy! First, check the G-SYNC monitor list to see if your monitor already has ULMB. IMPORTANT: Some older ULMB displays will not support the ULMB 60 Hz hack. (e.g. original PG278Q without the “R” suffix, and other older 144 Hz G-SYNC displays). To enable ULMB, you need to temporarily disable G-SYNC in NVIDIA Control Panel. Find the lowest refresh rate that your ULMB works at. 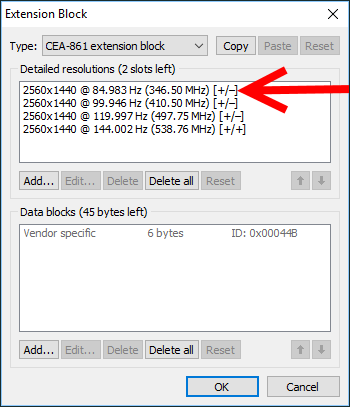 Ttest your monitor by turning ON/OFF ULMB inside your monitor menus. If ULMB cannot be enabled, test a different refresh rate until the monitor lets you enable ULMB. IMPORTANT: Begin by turning off ULMB and switch to a different refresh rate (e.g. 144 Hz) than the one you will modify (e.g. 100 Hz). Don’t switch to 60 Hz yet. This avoids mid-modification issues that may require Safe Mode to fix. This automatically reduces refresh rate while leaving Pixel clock unchanged. 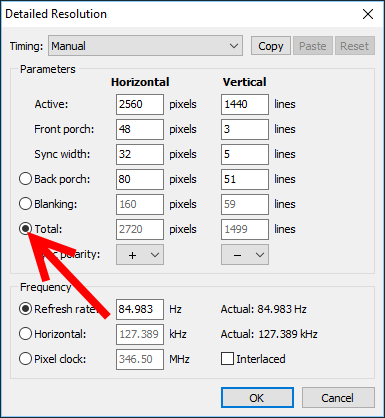 Observe when you manually increase Vertical Total, the Refresh Rate automatically decreases. Make progressively smaller changes to Vertical Total when calculated refresh rate becomes closer and closer to 60 Hertz. You will get very a number that is very close such as 59.95 Hz or 60.05 Hz. This is okay, you just have to get as close to 60 Hz as you easily can. Run ToastyX restart64.exe (that came with ToastyX CRU) to restart your graphics driver. If you cant find this file, just reboot your computer instead. 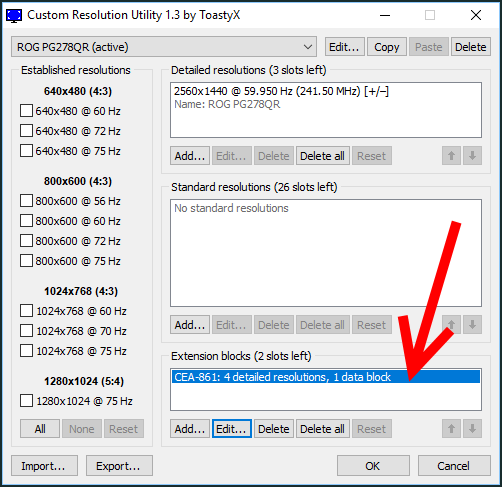 IMPORTANT: If your monitor blacks out when you do this, this probably means your monitor does not support the custom modified resolution. Your monitor will automatically restore itself in 15 seconds. Then try checking Blur Busters Forums to get help. 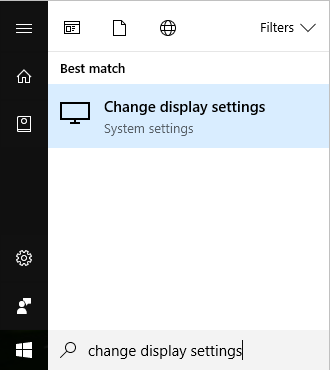 Try to enable ULMB in the monitor menus. You will probably notice flickering at this point. This is normal. Test www.testufo.com to make sure the 60fps UFO is clear. Now you have a working 60 Hz ULMB mode to use for console ports and emulators! What Monitors Support 60 Hz ULMB? These monitors are listed in the List of GSYNC Monitors. 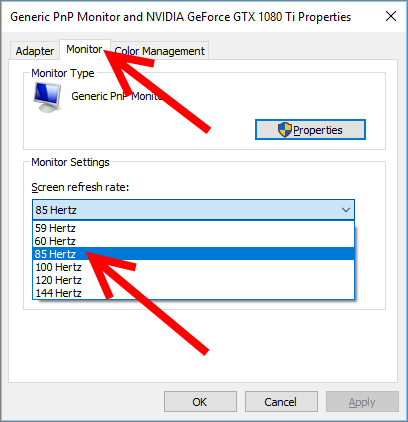 Not all older 144 Hz GSYNC monitors support the 60 Hz ULMB hack. But 60 Hz ULMB Flickers Like Crazy? This is normal, just like an old-fashioned CRT. Sit slightly further away. Modern computer monitors are bigger than CRT screens. Reduce screen brightness or play games with dark backgrounds. Not everyone is immune to 60 Hz flicker. IMPORTANT: Do not continue using 60 Hz ULMB if you get nausea or headaches. Why Do 30fps Games Still Have Double Images? This is the same problem you used to have with a 60 Hz CRT or 60 Hz plasma. The effect is the same. The triple match produces the perfect zero-blur panning motion, for beautiful platformer & scrolling games. Fix Stutters Or Tearing In 60fps Games? ULMB usually looks much better with VSYNC ON. If you are having problems with input lag, then follow the instructions at HOWTO: Low-Lag VSYNC ON to fix the input lag of VSYNC ON. Does Not Work on Consoles, PlayStation, or XBox? This hack requires a custom 60 Hz signal from an NVIDIA GeForce card. I Can’t Do 60 Hz ULMB. Is There Another Option? If you already have a 120+ Hz display, some software provide a software black frame insertion mode which does an operation similar to www.testufo.com/blackframes. Certain emulator software such as RetroArch and WinUAE have a built-in software “black frame insertion” mode. This allows you to convert 120 Hz strobing (LightBoost/ULMB) to 60 Hz strobing. 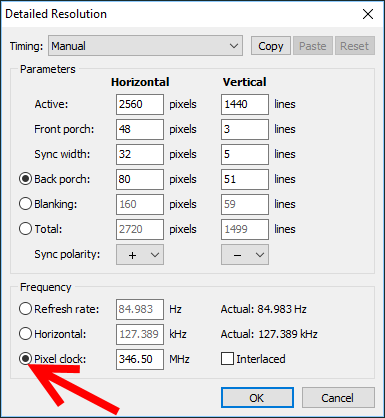 This is wonderful and a useful feature when your display doesn’t support a 60 Hz blur reduction mode. However, if you can do 60 Hz ULMB — it is almost always superior in color quality. This is because software black frame insertion can interfere with color quality (LCD pixel response, inversion artifacts, reduced contrast, 6-bit FRC interference, etc). I’m in UK. Can I do 50 Hz ULMB? You might be able to. Follow this HOWTO and create 50 Hz instead of 60 Hz. Flicker will be even worse than 60 Hz. Fewer monitors may successfully do 50 Hz ULMB than 60 Hz ULMB. Can I Do Hack Other ULMB Refresh Rates? Yes. 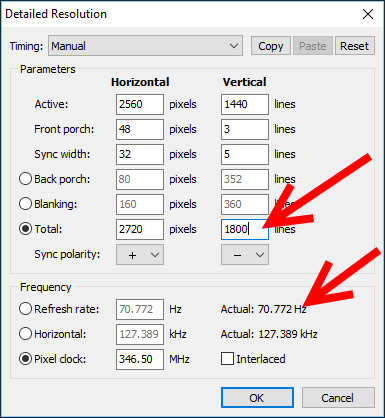 If you can do ULMB 60 Hz, then you can use the same 60 Hz ULMB Hack to create other unusual ULMB refresh rates such as 125 Hz (for Quake Live), as well as 48 Hz or 72 Hz (for films). The highest possible ULMB refresh rates recently achieved are 155 Hz (for a 240 Hz G-SYNC monitor with 144 Hz ULMB), and 128 Hz (for a 165 Hz G-SYNC monitor with 120 Hz ULMB). The lowest ULMB refresh rates go less than 48 Hz. Simply follow Steps 6 and 7 with a different target ULMB refresh rate. You may have to derive from a higher donor ULMB refresh rate. Success rates may vary. If It Works, Let Us Know! Please post in the Comments section below, or on forums.blurbusters.com to let us know!